I received a sample Car Cache for review purposes. All opinions are my own. 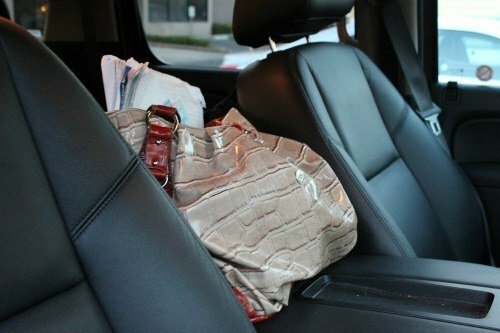 Ladies, have you ever slid behind the wheel of a car and wondered where to place your purse? We women are touchy about our personal property. Let’s face it, our purse is like an extension of ourselves. We like to keep it within arms’ reach and easily accessible. I don’t feel comfortable if I need to stash my purse in the backseat or on the passenger side floor. I don’t even like to place it on the passenger seat when I’m riding solo because I’ve had the items inside my purse fall out on the floor more than once. Where to stash our purse becomes quite a challenge at times, but it doesn’t have to be that way. There is a solution. 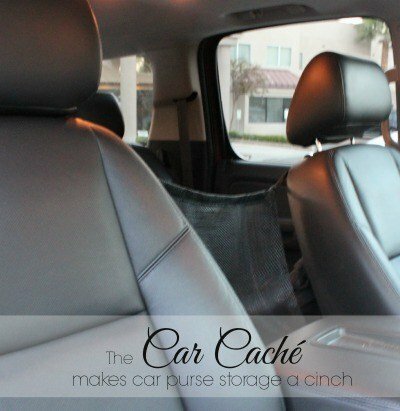 Enter the Car Caché , a simple purse storage organizer. While the Car Caché is great for day to day use, it was invaluable to me on a recent family road trip. My large purse, which resembles a tote bag, was stuffed with everything that I considered essential for my comfort on the trip. 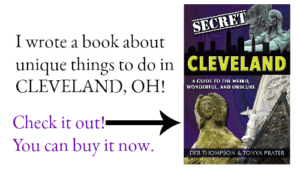 A cell phone, pens, notebook, books, brochures and change for the toll roads, I had packed it all! And I wanted it nearby. Not at my feet taking up valuable floor space, where it could get trampled on and dirty, and not in the back of the vehicle where it would get lost amid teens and luggage. The Car Caché was the perfect solution for me. It took only seconds to install and held my purse securely, right within my reach, while keeping it off the console so my husband could still use the arm rest while he was driving. I was a bit eager to hit the road with my family when my husband pulled up with the rental vehicle, so I didn’t take the time to glance at the simple directions. I realized after watching the video that I should have had my straps in front of the seat and not behind it. I didn’t know the difference, and yet the Car Cache worked well for me. Just keep in mind when you install yours that you really should read the directions. When I was introduced to the Car Caché, I thought it was a good idea. Good. Not great. And I certainly didn’t think it was something that I NEEDED to have. After using it for over a week on our road trip and reviewing a sample, I reserve the right to change my mind. The Car Caché is definitely one of those items you had no idea you needed until you use it and then wonder how you managed without it. I now want one for each of my vehicles. Seriously, it is that handy. When my teenage daughter sat in the front seat with me on our trip, she commented on how great the Car Caché was, which really surprised me. I thought she was being sarcastic, so I questioned her and found out she was sincere. She loved it when she was in the front seat. The one thing she didn’t like? She couldn’t prop her feet up on the console when riding in the back seat when the Car Caché was in place. 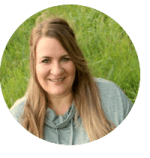 I don’t know about you, but to this traveling mom, that sounds like another bonus for the Car Caché! 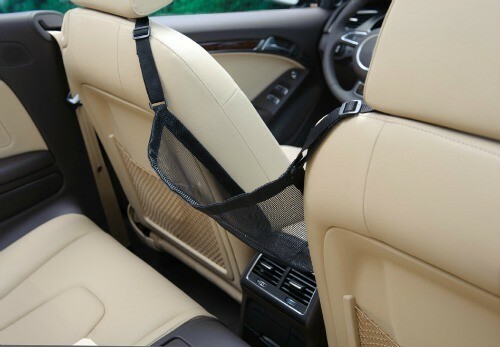 The Car Caché only works with vehicles that have a front center console with a cover and the driver and passenger side headrests must have posts that are accessible as shown in the video in this article. 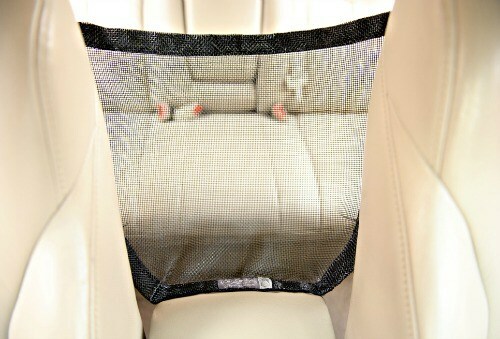 The Car Caché is available in black for $24.95 and is available to purchase on Amazon. The Car Caché is easily portable, weighing only 6 ounces, which makes it perfect to stash in a carry-on bag and install in a rental car at the airport, keeping your hand bag clean, out of the way and easily accessible, allowing you to focus your attention on the road. Would you like to learn more about the Car Caché? You can follow them on Twitter or Facebook. Would you use a Car Caché? Disclosure: This post does contain affiliate links. Keeps my purse safe and clean; what more could I ask for. To keep my kid’s from.walkjng on it! I like that the car cache will prevent purse contents from spilling onto the dirty floor of your car. I like that it can protect your handbag from scuffs, dents, and the feet of passengers. I’m always throwing my purse on the seat next to me, then the kids will toss it on the floor. That’s where it gets stepped on, dumped, and who knows what else! I like that it can adjust it to fit almost any size handbag. I love that it keeps your purse off the floor and uses otherwise wasted space. This is a great invention and one I’d definately use and for me, it has the added benefit of keeping my little doggie in the backseat when that is where I want him as he loves to hop on the console but with this there he wouldn’t. Thanks for the chance to win. I like that the car cache mitigates painful stretching. No more reaching for chapstick. I like that it keeps things from spilling all over the car. 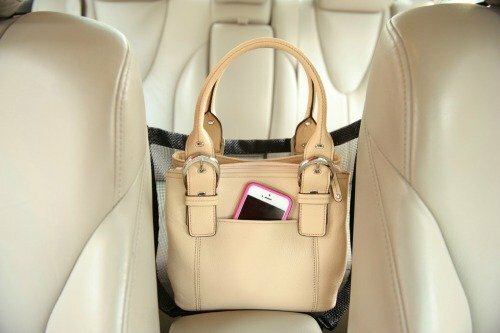 I like that it keeps the purse off of the nasty floor and keeps it within better reach when I’m driving. Installs quickly with no assistance because of its simple design! holding my purse is GENIUS!!! I like that it won’t inconvenience my passengers. My purse always gets in the way of my daughter’s school books and backpack. I like that it “Prevent your purse contents from spilling onto the dirty floor of your car” what a neat product that I never knew I needed. It would keep everything in one spot, no more digging under the seat when my purse falls! Keeps shoe born bacteria on car floor mats away from your handbag’s outer surface! I like the idea that it keeps my purse cleaner and keeps it from spilling on the floor. I like that it keeps the contents of your purse where they belong- IN your purse!!! This looks so handy. I hate having to stash my purse on the floor. I usually end up holding it when I’m in the passenger seat and my husband is driving. This would solve that problem. What a seriously cool invention! I don’t like having my purse anywhere but right beside me either, and we have a center console. In fact, have you seen those news pieces on people actually getting in the passenger doors of cars parked at gas pumps and stealing people’s purses out of the passenger seat, right under their noses while they pump gas? This just reminded me of that. Awesome giveaway! That’s terrible! I haven’t heard about those thefts yet. Hearing that only makes me appreciate my Car Cache even more! Lynsey, I am serious. Every woman should have one of these. Really. They are so convenient. I like that it will protect my purse from foot bacteria but also damage from others. I also like that it is easy to install. What a great idea. Thank you for the giveaway. this thing is genius!! i love how it keeps my purse off the floor!! “Prevent your purse contents from spilling onto the dirty floor of your car “. OMG! I was just wishing for something like this in my truck today! There have been cases of smash and grabs of purses on carseats around here, so I’ve been either putting mine on the floor or else threading the seatbelt through the strap. This would be so much easier! Oh my gosh! This thing is genius! I HATE digging around in the car trying to find my purse. Isn’t it wonderful? I really think every woman needs one. This looks great! I hate trying to find my purse when it has fallen on the floor. It prevents your purse from falling to the back seat, which mine does! I hate to put my purse on the floor. This would keep my purses cleaner longer. This looks amazing! It would be so handy!! This would be so handy and it would help keep the kids from walking into the front seat! I don’t have a middle console though for the cache to rest on. so it might not work in my van. I shared the giveaway though! Yes, you do need the console for the Car Cache to work, but thank you so much for sharing the giveaway Tracy! I hate to give up any of my floor space. Especially for my purse. Keeps shoeborn bacteria away!!! I need this!! I tell my friends with small children that your van goes from smelling like food, milk, diapers to stinky feet due to the older kids leaving their shoes in my van! Well when you put it that way, the floor really does sound unappealing, doesn’t it? Yikes!